The beans are growing like gang-busters! 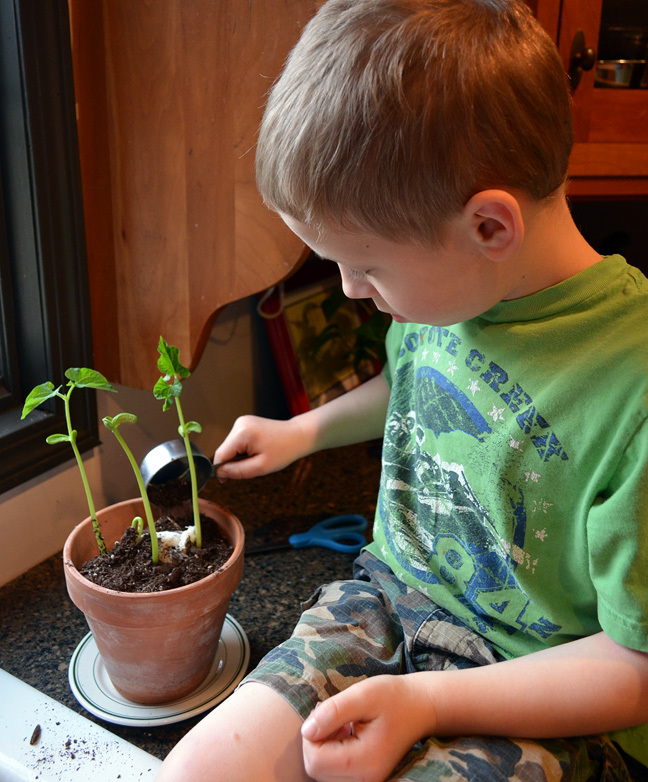 It’s only been 10 days or so since the boy began his bean planting science study. Needless to say, he is both proud and thrilled at the results. 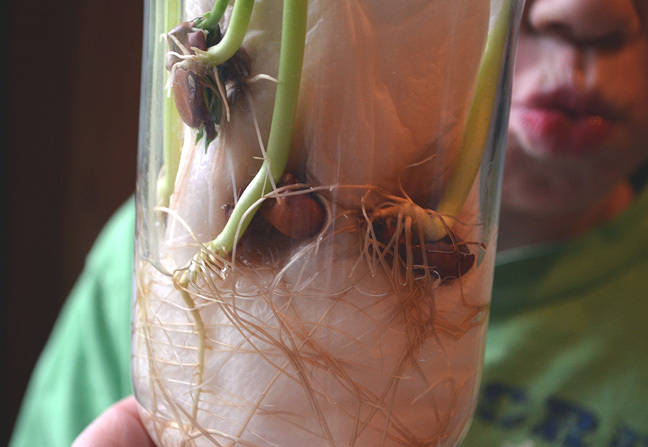 “I have a strong root system!” he proudly proclaimed one morning. Amen. The wet paper towel has been good to the baby beans, but Farmboy decided it was time to get his hands dirty. When isn’t he ready for that?! 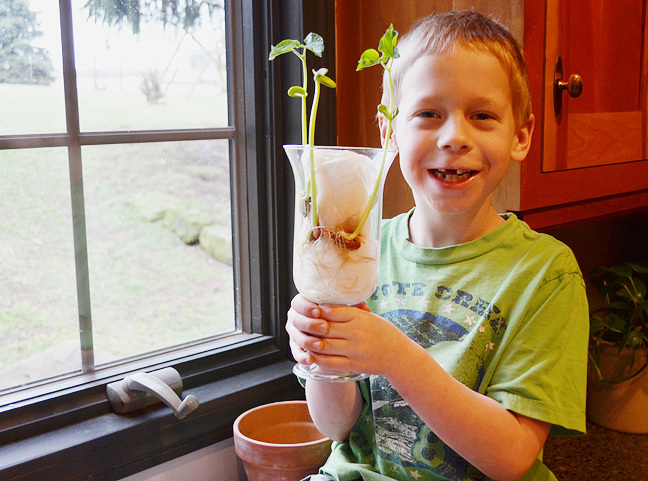 I dragged a bag of potting soil out of the garden shed and the toothless wonder prepared to plant his first bean crop. “I absolutely will,” I replied. He then looked at the plants, thought for a moment and looked back at me with a question in his eyes. I remember doing this exact project in elementary school as a kid! It teaches patience, nurturing, and responsibility! It’s the little things like this that can begin teaching kids about agriculture and life in general!